Looking for wedding invitations online? It's not too late to order! Wedding season is in full swing and orders are coming in every day. Are you looking for wedding invitations online? It's not too late to order. One of our most popular collections is the wedding invitation suite: "Posh Petals Collection". Our prices are competitive and Zazzle has regular sales. Watch out for those coupon codes! I am a Zazzle Proseller so you can shop with confidence knowing you are getting quality products. If you are unsatisfied for any reason Zazzle has an unbeatable return policy. I've never had any of my wedding stationery returned so I think that means my almost 1000 clients have been very happy with what they've received! Revolutionize your productivity! An organized business, is a profitable business. 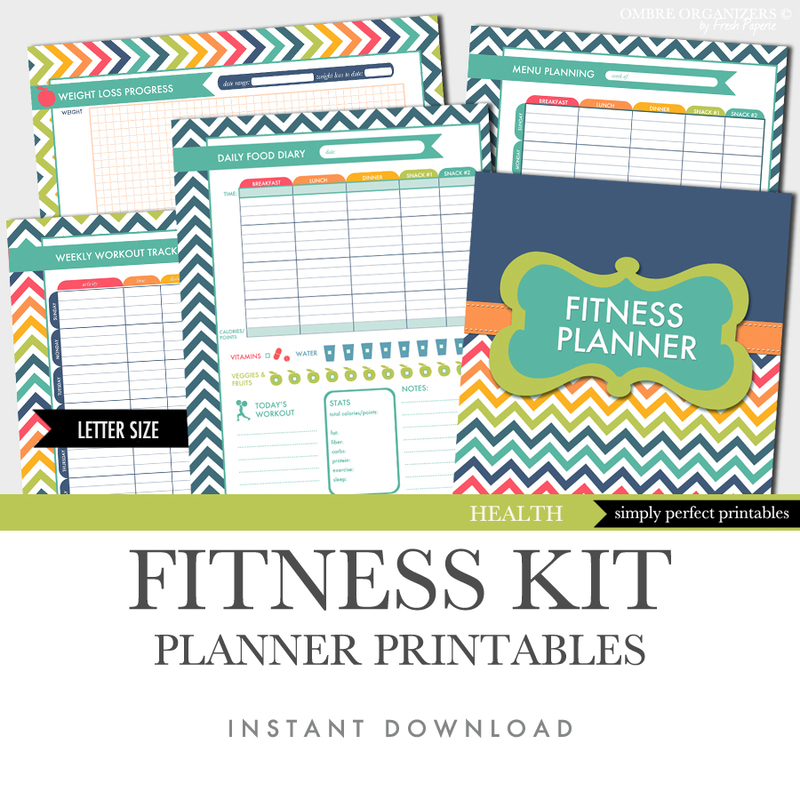 Customize your own small business planner with the following printables to suit your needs. New Fitness Kit now available in the Ombre Organizers Etsy shop.